Obama Says Need For Health Care Reform is "Here and Now"
Obama is set to take on health care reform. President Barack Obama said Thursday the clear consensus from the White House health care summit is an immediate need for reform. Wrapping up the nearly daylong session, Obama said the participants — doctors, lawmakers, insurers, even skeptics — were universal in agreement that the need for health care reform "is here and now." Obama entered the room with Sen. Edward Kennedy of Massachusetts, who is battling a brain tumor. After brief remarks summarizing the participants' observations, Obama called on Kennedy. The veteran Democratic senator said he looked forward to being a foot soldier in the push for health care reform and said: "this time we will not fail." Obama summoned health care figures of all stripes to Washington to debate ideas for overhauling the nation's costly system and declared, "The status quo is the one option that is not on the table." The big Washington session — Obama called it a health care summit — and meetings to follow around the country show the new president's push for universal health care coverage will be more open and inclusive than the Clinton administration's failed attempt of 15 years ago. "In this effort, every voice has to be heard. Every idea must be considered. ... There should be no sacred cows," Obama said as he opened his White House forum on what he calls the greatest threat to the U.S. economy — rising health care costs. Mindful that opponents derailed the Clinton plan, Obama also issued a warning: "Those who seek to block any reform at all, any reform at any cost, will not prevail this time around." The U.S. system is the world's costliest; the country spends some $2.4 trillion a year on health care. It leaves an estimated 48 million people uninsured, and many others lack adequate insurance. Although he wants coverage for all, the president suggested a willingness to compromise. That, too, was a break from former President Bill Clinton's posture in the 1990s when he promised to veto any health care measure that didn't give him what he sought. At the same time, he blasted "those who say we should defer health care reform once again" even though, unlike the last time, there's widespread agreement that something needs to be done. He also called health care reform both a moral imperative, and now a fiscal imperative because of its huge stress on the nation's financial books. He blamed Washington politics and industry lobbying for past failures, while pledging to put the public's interest ahead of both this time. Obama is setting a rigorous timeline to enact "comprehensive health care reform" by year's end, though he didn't precisely define what that would entail. His advisers say while he hopes for a bipartisan measure, he won't be deterred by ideological fights or interest group opposition. Unlike Clinton, Obama isn't offering a specific plan, but rather is outlining general principles to guide the Democratic-controlled Congress as it writes the measure: increased coverage, improved services and better control of costs. The House and Senate will be left to do the heavy lifting. On Capitol Hill, Rep. Steny Hoyer, the No. 2 House Democrat, and Senate Finance Committee Chairman Max Baucus, D-Mont., said Thursday they want their respective chambers to pass bills this summer, so lawmakers can spend the rest of the year working out a compromise and get a final bill to Obama's desk by year's end. There is also a fault line between Democrats and Republicans over the role of government in the health care system — and that could complicate Obama's push to ensure health care for everyone. Signaling likely areas of contention ahead, Senate Republican leader Mitch McConnell of Kentucky told Obama in a letter that his party was ready to work with the administration on health care but he also warned that the GOP would bristle at changes that lead to a government-run system and coverage expansions that don't come with curbs on costs. 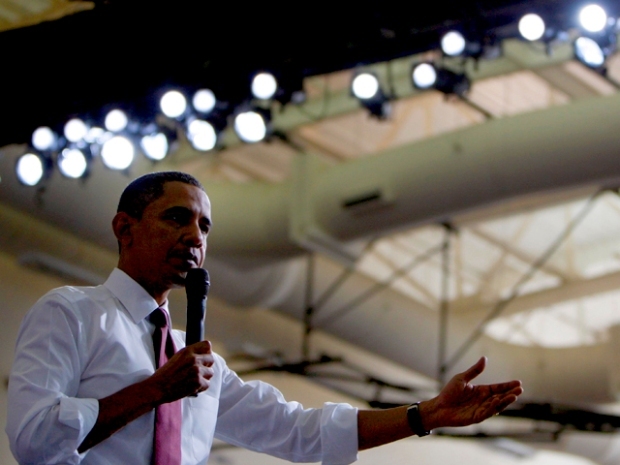 In office just six weeks, Obama already has made one big move on health care. He proposed a budget that has a $634 billion "down payment" for expanded coverage over a 10-year period. The government will spend trillions on health care over the same period. Broadly, Obama is seeking to use his popularity as a new president and the public's high level of frustration with medical costs to generate momentum for universal coverage. With first lady Hillary Rodham Clinton leading the charge, the White House wrote the measure with little input from lawmakers or interest groups. Stakeholders on all sides complained they were shut out of the process. Clinton's veto threat also limited his room to negotiate. Now, Obama is making a point to consult openly with people. Even before he took office, he used his campaign apparatus to encourage people to hold open meetings across the country to discuss the matter. The White House says more than 30,000 people attended more than 3,000 meetings in 50 states and Washington, D.C.
On Thursday, more than 120 people from all sectors — and with a wide range of viewpoints — were taking part in the program. They included longtime health reform heavyweights, including the cancer-battling Sen. Edward Kennedy of Massachusetts, and some people who helped kill Clinton's overhaul in the 1990s. And, Obama is planning to hold a series of health care events around the country, including in rural areas, to solicit ideas and drum up support for his vision.